Las mayúsculas y los acentos. El otro día cuando estaba interpretando en una conferencia en la que el ponente utilizó diapositivas como parte de su presentación, me di cuenta que los días de la semana estaban escritos con mayúscula. Esta no es la primera vez que me toca interpretar en conferencias donde las diapositivas tienen faltas de ortografía garrafales. He visto mayúsculas donde no debe haberlas, y he notado la falta de acentos donde la palabra se acentúa. Algunos ponentes corrigen estos errores cuando se les explica la falta de ortografía, pero en ocasiones no lo hacen y hasta se molestan. Me gustaría ver si ustedes han encontrado este problema, y de ser así, como lo han resuelto. Cuando el cliente no paga ¿Qué hacer para no trabajar gratis? Hace unos días platicaba con una colega relativamente nueva en la profesión. Ella me preguntaba si había alguna manera de divulgar los nombres de aquellos clientes que no pagan por el servicio prestado por el intérprete. Por supuesto que eso me parece justo y legítimo, siempre que se haga cuidadosamente para no incurrir en responsabilidad jurídica. Debemos compartir este tipo de información con nuestros colegas para evitar que otros “caigan en las garras” de uno de los clientes en la “lista negra.” Sin embargo, me parece que es mejor evitar (hasta donde se pueda) una situación en la que el intérprete que ya ha prestado sus servicios profesionales salga perdiendo al no ser remunerado. Para poder cobrar mis honorarios yo sigo ciertos pasos que me parecen lógicos: En primer lugar distingo entre clientes ya establecidos y nuevos. A mis clientes de hace años les trabajo cuando me lo piden ya que no tengo que preocuparme de cuándo me van a pagar ni de si mis honorarios les van a parecer elevados. Sin embargo, cuando se trata de clientes nuevos, o “casi” nuevos, mi política es diferente. Cuando sé que se trata de un cliente que solo va a utilizar mis servicios una vez, pido que se me pague por adelantado, o que se me dé al menos un anticipo que cubra el tiempo mínimo que voy a estar dedicando a ese trabajo (cierto número mínimo de horas, o cierto número mínimo de días si hay que viajar por ejemplo) Si se trata de un cliente que podría convertirse en algo regular, entonces les envío una carta-convenio detallando las obligaciones básicas de las partes: servicios que voy a prestar y honorarios que ellos van a pagarme. Si el trabajo va a ser de varios días, les pido un anticipo que cubra los gastos de equipo, viáticos, y demás que yo tengo que desembolsar, y requiero de su firma en el documento para poder de esa manera “apartarles” las fechas del trabajo. Mi carta detalla la forma de pago (un solo pago, dos pagos, cheque, tarjeta de crédito, etc.) la manera de solicitar el pago (mi manera predilecta es por factura enviada electrónicamente) y el plazo que tiene el cliente para hacer el pago total o los pagos parciales (30 días a partir de la fecha en que recibió la factura por ejemplo) Asimismo, esa carta detalla las penas en que incurre el cliente en caso de un pago vencido (intereses moratorios después de 30 y 60 días) y la mención de que cuando no se haya hecho el pago en 90 días, la factura saldrá a cobro con una agencia de cobranzas, y que los gastos de cobranza (judiciales y de abogado) correrán por cuenta del cliente. Este sistema me ha funcionado en prácticamente todas las ocasiones en que me he topado con un cliente moroso. Además, al determinar el monto de un anticipo, me aseguro que este me permita por lo menos no perder dinero, o sea, salir a mano. Me gustaría conocer otras estrategias seguidas por ustedes. When the client’s conduct is insulting. How much of it do you have to take? I was having dinner with a colleague several weeks ago, and we were talking about a situation that had recently happened to her that I know happens to many of us. One day she was contacted by a State District Attorney’s office from one of the states in the U.S. They asked her to help with her expertise as a linguist and interpreter during a criminal trial. Because the trial was taking place in a different state from where she lived, it was agreed that the DA’s office would mail her a video of a police interview that apparently had been poorly interpreted. My colleague agreed, the conversation ended, and she hung up. As the weeks went by, she did not hear from them and she got busy with other work. Finally, one day out of the blue she got an e-mail telling her that the video had been mailed and she should receive it in a couple of days. Again, after a waiting period that was quite lengthier than two days, the video arrived. My colleague opened the envelope and there was a video with no enclosure letter or any way to know what she was expected to do. She contacted this DA’s office and as a result she got an e-mail telling her what the interpreter on the video had done wrong. As soon as my colleague realized who the interpreter was, she knew the rendition would be less than satisfactory as this person has a “reputation” that transcends borders. However, everything that the Spanish- speaking paralegal at the DA’s office pointed out as serious mistakes seemed irrelevant in my colleague’s expert opinion. Because of these irregularities she decided to e-mail the assistant DA to ask him what it was that they wanted her to do and to remind them of her fee. In other words, she did not want them to spend money for something that was probably unnecessary. The attorney answered back asking her to only listen to the relevant parts, and to listen only once to avoid a “hefty” bill. He then informed her that they wanted her to testify as an interpreter, not an expert, and that for this reason they believed that it was not necessary to pay her as an expert. Moreover, to add insult to injury, the attorney told her that they would subpoena her so that she had to appear in court at her own expense, this way avoiding payment of travel expenses. Obviously, after taking a deep breath, and reacting in a way more civilized way than I would, she “suggested” they should look for another person within their state who would be willing to do that. She politely explained that she would not even watch the video, as this would generate “unnecessary expenses” to the DA’s office, and she sent them off, hopefully forever. Does the story sound familiar to many of you? It amazes me how such a specialized taskforce as the District Attorney’s office can be so ignorant about interpretation. The story reminded me of the reasons why I tend to stay away from court cases at the state level, as my patience is almost exhausted after all these years. I would like to hear what you have to say about this situation, and how you have handled similar scenarios when they have happened to you. Por haberlo pedido varios colegas, aquí vuelvo a incluir este tema que ya hemos abordado anteriormente. Hace un par de meses hablábamos de aquellas ocasiones en que durante una interpretación no nos llega una palabra conocida y estamos trabajando solos. Cuando el trabajo es en equipo, especialmente en cabina o durante un juicio, hay quienes pasan una nota al compañero para que este ayude con la palabra, ya sea diciéndola o buscándola en un diccionario; y hay quienes son más afortunados todavía y reciben el apoyo del compañero de equipo aún sin pedirlo. Obscenity while Interpreting a Live Broadcast. During the past few weeks we have watched many movie award shows and political debates on American TV. Last week I shared my thoughts on interpreting a live political event on TV. Today I want to talk about another very important element of live media interpretation: The live broadcast “5-second delay” factor that we have in the United States because of the Janet Jackson wardrobe malfunction incident during a Super Bowl half time show several years ago. As I watched the Golden Globes from my home, and I saw Meryl Streep fumble around looking for her eyeglasses to read her acceptance speech after being voted best female actor, I noticed, like all of you, that she said something that we did not hear but “saw” regarding her frustration about forgetting her glasses. Although I was watching the broadcast in English, I immediately thought of my colleagues who at that precise time were interpreting the broadcast of the ceremony to the non-English speaking world. There is a principle in conference interpreting about avoiding the interpretation of all that is irrelevant and all that makes the speaker look bad and does not contribute anything to the listener. Of course, there are two possible scenarios where the interpreter may need to make a judgment call: On the first one, the interpreter has a live speech, as many of our colleagues from other countries did during the Streep incident, and a second reality, the one that faced those who were interpreting from the American signal that had the 5-second delay. The question is: As the working interpreter in this situation, would you skip the “expletives” and just interpret the rest of what Ms. Streep said when she accepted her award? I would skip it regardless of the way I am getting the feed of the speech. If it is live without any delay I would just interpret everything else, and if I had to deal with the delay, as we often do when we work in the States, I would pace myself so that the listener would not even realize that there was a 5-second delay on the original broadcast. Of course, there are those who say that you should interpret everything, and at least use “softer” expressions to convey the flavor of what is happening. Please tell us what you would do as the broadcast interpreter of one of these events. Evaluation Results of My Presentation during ATA’s 52nd. Conference in Boston. A few days ago I received the evaluations by those of you who attended my presentation on Translating Extradition Requests between Mexico and the U.S. during ATA’s Annual Conference last October in Boston. S-2. Tony A. Rosado. Translating Extradition Requests between Mexico and the U.S.
Was this session’s content useful? Did the speaker(s) present the material effectively? Did the speaker(s) demonstrate knowledge of the subject? Would you attend another session from this speaker? funny, opened my eyes about the problems. Thank you all for your answers. I hope to see you soon at another workshop. 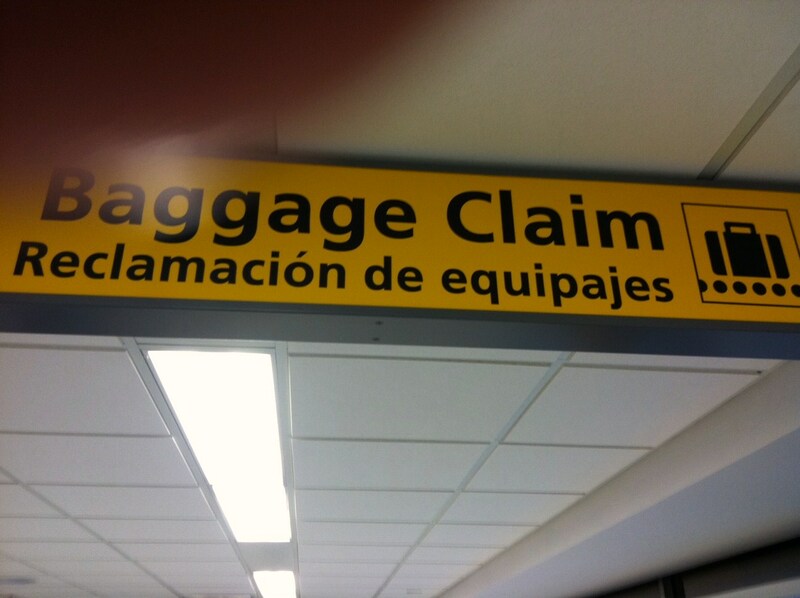 Traducciones atroces en un aeropuerto de la ciudad más importante del mundo. Sin embargo, lo que me impactó en esta ocasión fue la ubicación de estas atrocidades, uno de los aeropuertos de la ciudad más importante del mundo, la capital del comercio internacional, la sede de la ONU. 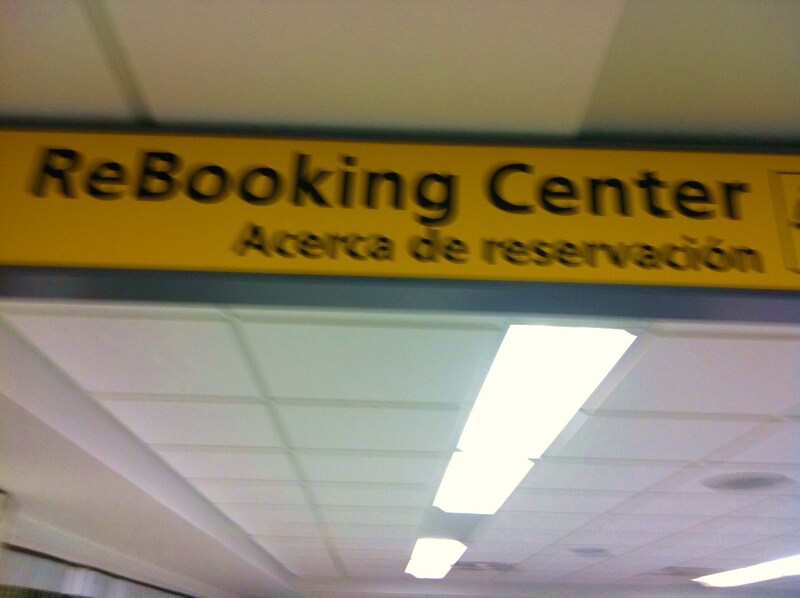 La próxima vez que me encuentre en uno de los aeropuertos de la ciudad de Nueva York, o de alguna otra capital del mundo, me voy a fijar para ver si este problema es endémico o si se trató (como yo espero) de una aberración que se dio únicamente una vez. Les pido me ayuden en esta investigación y les invito a compartir otras traducciones nefastas que hayan encontrado durante su vida. 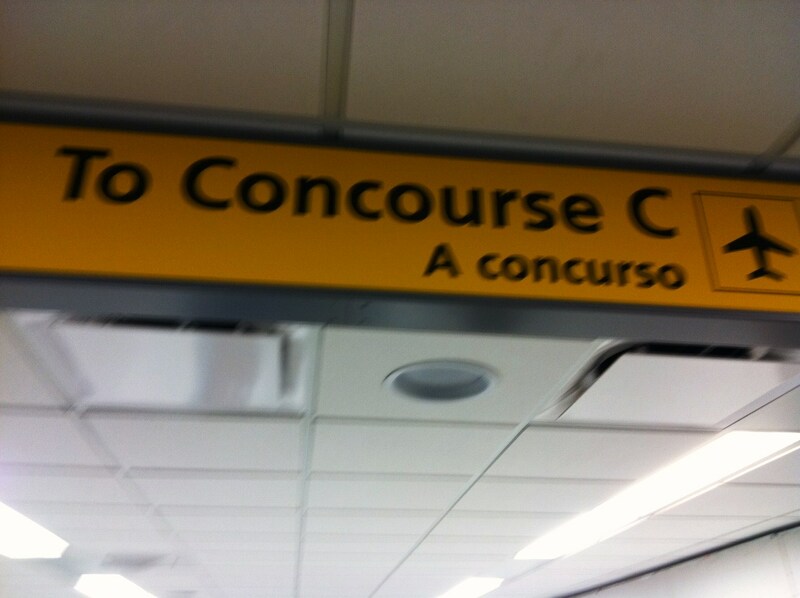 Quizá hasta podamos meterlas a un “Concourse C” que diga…a un concurso. You are currently viewing the archives for March, 2012 at The Professional Interpreter.